Answer: God has become flesh twice. Twice He encountered the collective resistance, condemnation and persecution of the religious community and the world’s governments. This proves that “The true way has been persecuted since ancient times.” Many people cannot discern this matter. They particularly feel incredible about the religious leaders’ frantic condemnation of God’s work. Actually, there is nothing strange about this. Back then, when the Lord Jesus appeared to work, He was first frantically condemned, blasphemed and arrested by the chief priests, scribes, and Pharisees of Judaism. These facts were clearly written in the Bible. 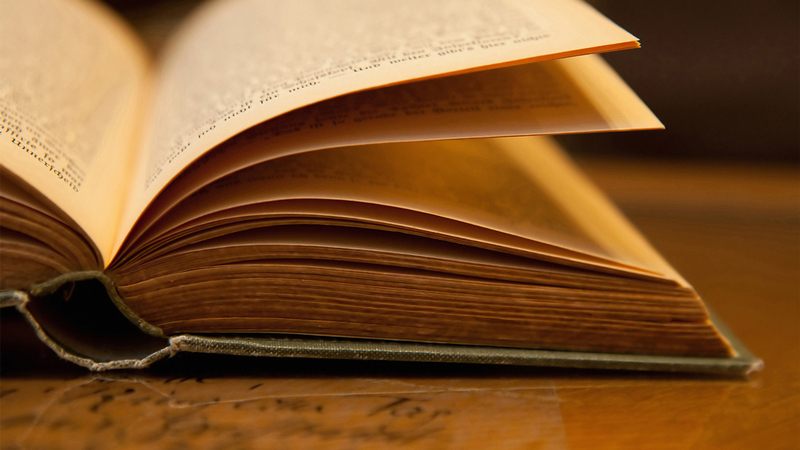 Those chief priests, scribes, and Pharisees, were supposed to teach the Bible and serve God. Why did they condemn, persecute, and hunt the incarnate Lord Jesus? Could it be that their belief in God was intended to crucify the Lord Jesus when He came? Absolutely not! Why did they commit such acts against God? Yeah, why did they? Almighty God has revealed the mystery here. Let’s read a few passages of Almighty God’s word. 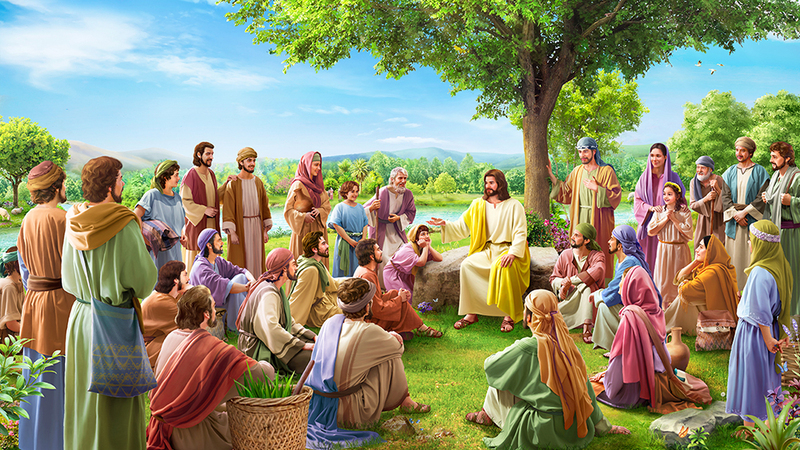 Almighty God says: “Do you wish to know the root of why the Pharisees opposed Jesus? Do you wish to know the substance of the Pharisees? They were full of fantasies about the Messiah. What’s more, they believed only that the Messiah would come, yet did not seek the truth of life. And so, even today they still await the Messiah, for they have no knowledge of the way of life, and do not know what the way of truth is. How, say you, could such foolish, stubborn and ignorant people gain God’s blessing? How could they behold the Messiah? They opposed Jesus because they did not know the direction of the Holy Spirit’s work, because they did not know the way of truth spoken by Jesus, and, furthermore, because they did not understand the Messiah. And since they had never seen the Messiah, and had never been in the company of the Messiah, they made the mistake of paying empty tribute to the name of the Messiah while opposing the substance of the Messiah by any means. These Pharisees in substance were stubborn, arrogant, and did not obey the truth. The principle of their belief in God is: No matter how profound Your preaching, no matter how high Your authority, You are not Christ unless You are called the Messiah. Are these views not preposterous and ridiculous? I ask you again: Is it not extremely easy for you to commit the mistakes of the earliest Pharisees, given that you have not the slightest understanding of Jesus? Are you able to discern the way of truth? Can you truly guarantee that you will not oppose Christ? Are you able to follow the work of the Holy Spirit? If you do not know whether you will oppose Christ, then I say that you are already living on the brink of death. Those who did not know the Messiah were all capable of opposing Jesus, of rejecting Jesus, of slandering Him. People who do not understand Jesus are all capable of denying Him, and reviling Him. Moreover, they are capable of seeing the return of Jesus as the deceit of Satan, and more people shall condemn Jesus returning to flesh. Does not all of this make you afraid? What you face shall be blasphemy against the Holy Spirit, the ruination of the words of the Holy Spirit to the churches, and the spurning of all that is expressed by Jesus. What can you gain from Jesus if you are so befuddled? How can you understand the work of Jesus when He returns to flesh on a white cloud, if you obstinately refuse to realize your errors? I tell you this: People who do not accept the truth, yet blindly await the arrival of Jesus upon white clouds, will surely blaspheme against the Holy Spirit, and they are the race that shall be destroyed” (“When You Behold the Spiritual Body of Jesus Will Be When God Has Made Anew Heaven and Earth“ in The Word Appears in the Flesh). “The reason that man opposes God stems, on the one hand, from the corrupt disposition of man, and on the other hand, from ignorance of God and lack of understanding of the principles of God’s work and His will toward man. These two aspects merge into a history of man’s resistance to God” (“All Who Do Not Know God Are Those Who Oppose God” in The Word Appears in the Flesh). The words of Almighty God have clearly spoken about the root cause of the Pharisees, religious pastors and elders’ resistance to God. The religious pastors and elders only focus on pursuing biblical knowledge and theological theories, but not pursuing the truth. The pastors and elders are weary of and hostile to the truth. When they see the expressions of Almighty God are all the truth, they are filled with hostility, and they begin to judge, condemn and resist God. When the Pharisees of Judaism heard the preaching of the Lord Jesus, they openly acknowledged that His words possessed power and authority, and that they originated from God. So why did they still condemn, arrest and crucify the Lord Jesus? By rights, since they discovered that the words of the Lord Jesus were the truth, they should have prayed to God to seek the answer: Is the Lord Jesus the Messiah? God would certainly have enlightened them. But they neither prayed to God nor sought at all, instead just condemning the Lord Jesus for blasphemy. In particular, they repeatedly asked the Lord Jesus, “Are you the Messiah?” When the Lord Jesus directly answered them, they refused to accept it. This adequately shows that the Pharisees were too arrogant and worshiped the Bible too much! They looked down on Christ, who was expressing the truth. Their logic was no matter how much truth the Lord Jesus could express, no matter how authoritative and powerful His words were, as long as He was not called Messiah, they would condemn, resist and even nail the Lord Jesus on the cross. Would you say that those leaders of Judaism were truth-hating demons? If the Lord Jesus had not been able to express the truth, would they have had such hatred for Him? This completely exposed the Pharisees’ truth-hating satanic nature. This was where the roots of the Pharisees’ resistance of the Lord Jesus lay! Just as the Lord Jesus said when He exposed the Pharisees: “But now you seek to kill Me, a man that has told you the truth, which I have heard of God…. And if I say the truth, why do you not believe Me? He that is of God hears God’s words: you therefore hear them not, because you are not of God” (Jhn 8:40, 46-47). Now we have seen clearly why the Jewish leaders resisted and murdered the Lord Jesus, so the reason the religious pastors and elders in the last days frantically resist and condemn Almighty God is not hard to understand. Those of us who have undergone the work of God have some sort of experience that all those who hate the truth will inevitably judge, condemn and resist God. The judgment work of Almighty God in the last days is to cleanse the satanic disposition of man. He judges and cleanses man by expressing the truth. Those who are able to accept the truth will receive cleansing and salvation. The satanic disposition of those who reject the truth cannot be changed. They will still resist and betray God as always. In The Church of Almighty God, some who were weary of and hostile to the truth were completely exposed—those unbelievers and antichrists were purged and expelled. As for the religious pastors and elders, why do they insist on condemning and blaspheming Almighty God? Isn’t it because Almighty God expresses many truths to conquer and save a group of people? The work of Almighty God has exposed them, which is why they hate and condemn God. Their satanic nature has been utterly exposed. Why does God detest and curse these exposed antichrists? It is because they vie with God over His chosen people by firmly controlling the sheep of God within their own hands, and forbidding people to study and accept the true way. They set up their own little kingdoms and become demons that harm and swallow up human lives. They have been condemned and cursed by God for offending His disposition. What is the basis of the pastors and elders condemnation of Almighty God? We have to discern this matter. First, they only go by the lack of record of Almighty God’s work in the Bible. They only believe that God’s word was all written in the Bible and God’s word does not exist outside the Bible. So they deny the work of Almighty God. Second, they do not understand how the prophecies of the Bible are fulfilled. Like the Pharisees, they only follow regulation. No matter how profound and authoritative the sermon spoken by the Lord Jesus was, how much truth He has, as long as the Lord was not called the Messiah, they would condemn, resist and even nail the Lord Jesus to the cross. Third, they do not recognize Christ in the flesh, nor do they admit that God will become flesh. 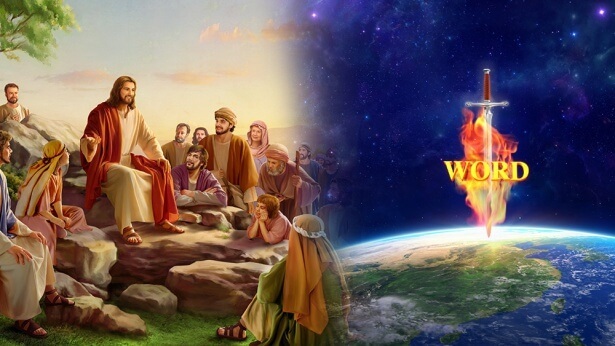 “ According to the apostle John, they are antichrists.” Fourth, they go by the rumors and lies fabricated by the CCP government to deny and condemn the work of Almighty God in the last days. They even take side with the CCP. They can’t wait for the CCP to thoroughly ban The Church of Almighty God. This makes us think, why didn’t the Lord Jesus go to the synagogue when He preached and worked? “Why did He look for someone in the wilderness who was after God’s heart? “If the Lord Jesus had gone to the synagogue, He would surely have been expelled. He would surely have been taken away by the Jewish leaders and surrendered to those in power. 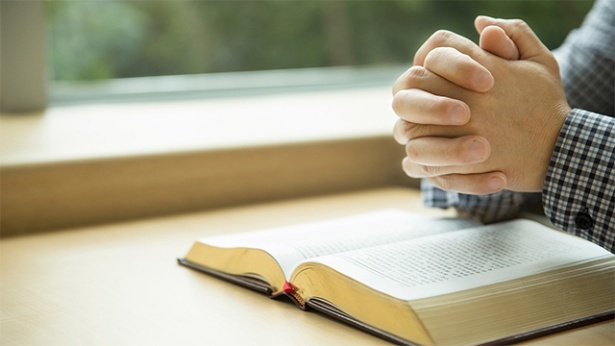 If we went to the church to bear witness for Almighty God, what would be the outcome? they will certainly report to the police. The ways religious pastors and elders resist Almighty God are identical to how the Pharisees resisted the Lord Jesus back then. They are the antichrists and evil servants that detest the truth. They are the demons that obstruct us from entering the kingdom of heaven! Previous：Question 5: Upon learning that we had accepted Almighty God, the pastor and elder have been ceaselessly bothering us, explaining the Bible to us nonstop. Though we refute them, and reject them, they do not let up. This is severe harassment of citizens. In the past, when we were weak or negative, they were never so diligent. Now, as soon as we accept Almighty God, however, they have become very angry, using both carrot and stick, endlessly annoying us. It seems that this evil of theirs won’t let up until they have dragged us into hell with them! I just don’t understand it. The pastor and elder, as persons who serve the Lord, and who often talk of the Bible, they should be able to see that all words expressed by Almighty God are truth. Why do they not seek truth? Why don’t they investigate the last-days work of Almighty God, instead of wildly condemning, resisting, and blaspheming Almighty God? The pastor and elder expend such effort to obstruct our acceptance of Almighty God. We really do need to understand. Please fellowship this a bit with us.